(Juli 2008) The inner diameter of the giant construction is an increadible 85,30 m made exclusively of dimension stone! This mind-boggling construction named „Global Pagoda“ beats all records: the dome has a diameter more than twice that of the previous record-holder measuring nearly 38 m – the Gol-Gumbaz-Mausuleum in Bijapur, also in India. It outranks St-Peter’s Dome in Rome measuring 42,34 m and the Pantheon measuring 43,20 m across. Note that St-Peter’s dome is not made of stone but masoned in brick. 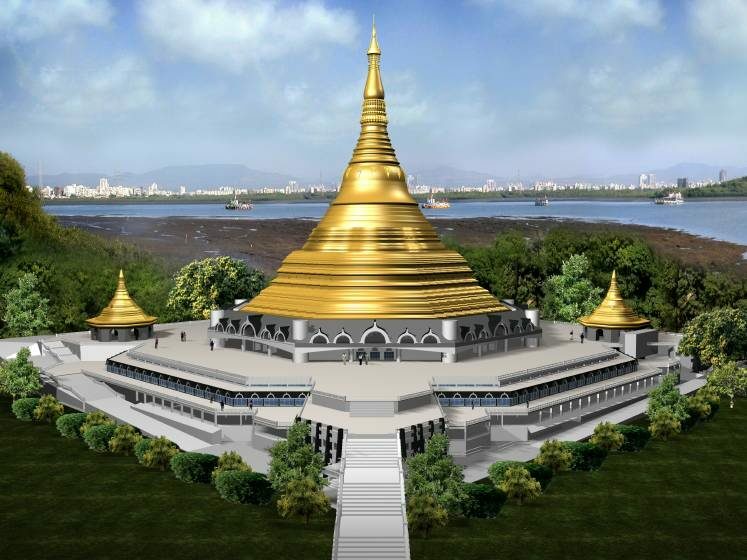 The „Global Pagoda“ will serve as a place of prayer and meditation for a persuasion within buddism when it is completed toward the end of 2008. The construction resembles a very wide bell with a tip extending 96 m skyward. The solution to the problem of constructing such a gargantuan stone dome was delivered by an Indian architect, inspired by the ancient art of interlocked stones. The stones support one another by means of their own weight, albeit that each piece has to be carefully fitted. Much handycraft and skilled work was required to chissel each piece to the exact size. Modern technology was also used in form of CNC-driven saws. The stones weigy between 600 and 700 kg each. 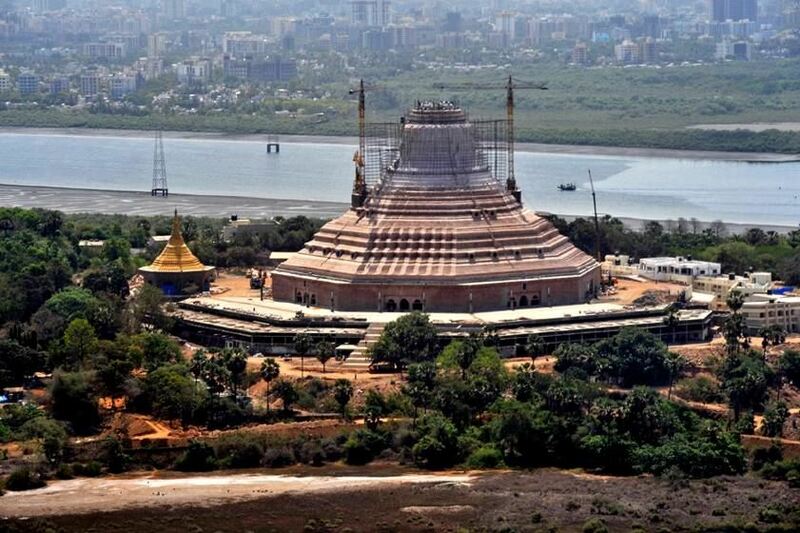 The last one reaches 4 t.
The hall will have enough place for 8000 persons to meditate simultaneously. The structure was inspired by similar buildings in Myanmar (Birma). This serves as a reminder that this type of buddhism which all but disappeared in India was alive and well in the neighbouring state. The complex also includes four small pagodas which house a library, public-relations-facilities, and an exhibit on the life of Buddha. Upon completion the roof will be covered in gold paint.